But the question raised in protest does raise a point to ponder: Just what authority is being challenged when a Church teaching is challenged? Matthew 16:18-19, Matthew 18:18 and the Old Testament verse it was based on (Isaiah 22:22) give us the answer. God gives the successor of Peter (and the successors of the Apostles in communion with him) the authority to bind and loose. When Jesus says that what is bound on Earth will be bound in Heaven, or when He says that what is loosed on Earth will be loosed in Heaven, this is Our Lord’s testimony that when the Church intends to teach, it has His authority. What logically follows from that is that if we trust God, then we can trust Him not to bind error or loose truth. Of course, this means that, when the Pope teaches on faith and morals—where we are required to give assent—we have faith that God protects us from being bound to obey error or given permission to sin. Without this faith in God, we could never know when a Pope was teaching truth or error. That’s quite serious. If we do not know whether a teaching is truth or error, we’d have bedlam. We couldn’t know whether the Trinitarians were right or the Arians were right, for example. In such a case, Pope Francis and his teachings would be irrelevant. We couldn’t know if any Church teaching could be binding. Dissent from the teaching authority of the Church, whether modernist or traditionalist, denies the belief that God protects His Church from teaching error. It might not be a formal denial, but generally the arguments are that the Pope is teaching error. Whether it is Blessed Paul VI and Humanae Vitae or Pope Francis and Laudato Si, the idea is to try to discredit what the Pope said so people have a cover for being disobedient. But once you open the door of dissent on your issue, you remove the basis for opposing any other person dissenting on their issue. For example, traditionalists and modernists tend to behave like atheists and anti-Catholics in pointing out the bad Popes of past history to justify their rejection of Papal authority when it goes against them. The argument is, popes have taught error in the past. Therefore Pope Francis can teach error. The problem is, such an argument assumes that the Church can teach error, as opposed to do wrong. Yes, we all know about the bad behavior of John XII, Benedict IX, Alexander VI. We know about the other popes who did wrong through private error or bad personal behavior—but they never taught binding error. The instance a Pope does teach error as binding, the whole structure comes crashing down like a house of cards—it would mean that Jesus did not protect His Church from error and the entire faith in Christ is for naught. Under such a view, the Church is reduced to factions jockeying for power and pushing their political platform. The Church is to be obeyed when she teaches what we want, but not when she teaches what they want. Ultimately, we believe that the Pope and the bishops in communion with him are the ones who have the authority and responsibility to interpret the long held teachings of the Church and determine how they are to be applied to the modern issues. The magisterium binds or looses, but never in a way to go from saying “X is a sin” to saying “X is not a sin.” We can trust that because we trust in God. He promised to protect the Church (Matthew 16:18 and Matthew 28:20). If we can’t trust Him to keep His promise, we can’t trust Our Lord at all (God does not break His promises) and we might as well go join a synagogue. 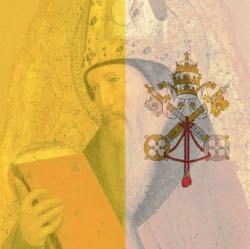 Ultimately, when the traditionalist rebels against Pope Francis or when the modernist rebelled against St. John Paul II, it is a declaration that their personal interpretation of Scripture and previous Church documents is superior to the decisions the Pope makes when protected from error. Who is more likely to err? Once we recognize this, the Catholic has to have a change of heart. Whether the Church is unpopular teaching about the sanctity of marriage or unpopular concerning the treatment of illegal aliens, the obligation to obey the Church when she teaches what we must do, we have to set aside our personal preferences and trust God, obeying the Church as a way of obeying Him (Luke 10:16). Otherwise, we are no better than the dissenters from another faction whom we oppose. Certainly some sins are worse than others. But we also need to remember that the most deadly sin to an individual is the one that sends the individual to hell. I've Been Doing This for EIGHT Years?